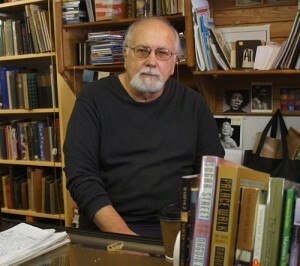 Whirligig is waxing poetic over a new interview with San Francisco-based poet and bookseller, Beau Beausoleil. Beausoleil is the founder of The al-Mutanabbi Street Coalition, a multi-faceted, global response to the March 2007 car bombing of Bagdad’s historic bookseller’s street and the center of intellectual and literary culture in Bagdad. In this interview, Beausoleil talks about poetry, writing, bookstores, and The al Mutanabbi Street Coalition as an act of witness. On March 5th, the anniversary of the bombing, there will be poetry readings all over the world. Look for a reading in your area, or, in the spirit of creative community and witness, start your own.